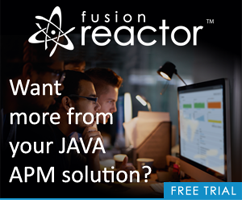 Welcome to my third and final blog post on ColdFusion and OAuth. (You may find the earlier entries below.) I apologize for the delay but I traveled last week so I’m a bit behind. If you have not yet read the earlier entries (part 1 and part 2), please do so as I will not be repeating the information I wrote about before. So - hopefully you’ve gotten an idea of how easy OAuth can be. After I got things working right the first time, the second demo was quite easy. For this demo I decided to get a bit fancier. Google has an OAuth API that lets you authenticate against their servers. What if you wanted to use Google for your user system? In other words, skip the whole custom registration process and offload user management to Google. That’s not only possible but actually one of the recommended use cases in their documentation. Before we begin, please note that you will need to register your application with Google. This is exactly like what you did with Facebook and LinkedIn, except it is done at Google’s API Console instead. By now this process should be easy enough where I don’t need to explain it to you, just be sure to make note of the client id and client secret. Since our application is going to use Google for login, I’ve created a simple Application.cfc that looks for a session variable, and if it doesn’t exist, automatically pushes the user to a login page. Notice that there isn’t a form here. Remember, we’re sending the user to Google instead. I could have automatically pushed them, but I felt this was more friendly. Here’s the code for that template. I’ve put the Google OAuth code into a CFC to abstract a bit, but for now, don’t worry about it. The link generation is very similar to the previous two examples. Once the user clicks login, they are sent to Google. 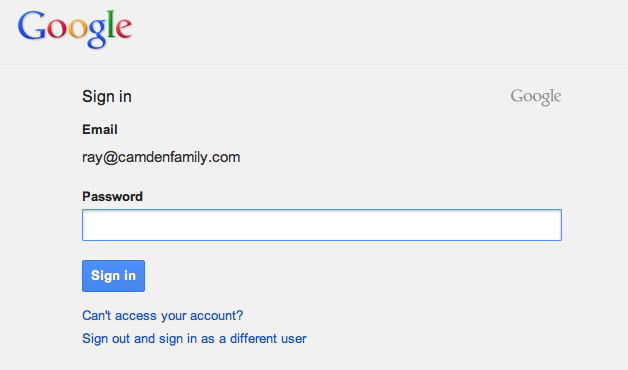 In this case, Google recognized my account and preset the login, but I have the option to switch users as well. As before, the user is sent to a callback page. Here is that template. Again note that I’ve put much more into the CFC now so this is somewhat simpler. For the most part I assume this is self-explanatory, but if anyone has any questions, let me know. Basically what the rep said is that their technical team said using hd=cbtec.com is a feature, so they didn't specify that in their documentation. He also said that the variable hd is also used to authenticate users in an organization with business units separated by domains. Frankly that first sentence isn’t sensible. “It is a feature and that’s why we didn’t document it.” I’m hoping it was just a typo.